Uploading your Designs to the Site or creating Designs using mysk8design tools, or mobile applications you grant the following rights to mysk8design: to use, reproduce, display, sell, promote, advertise and distribute the Design for marketing purposes. Whereas without limitation, this promotion, marketing techniques, or advertising techniques may consist of: (i) display of your Design; (ii) photographic Content on the Website, (iii) Design placement in magazines and social media; and (iv) the sale of Products that include your Design through third party. We have the right to make modifications to your Design as needed to prepare and use in a particular Product category or for manufacturing purposes, if you agree that your Design may be used in such category. You may also agree that other Members and/or visitors to the site may make changes to the Design as they see fit to their liking for the purposes of creating and ordering Products. If you decide to delete your design you may do so at anytime, however it may take 6 to 8 business days for it to be completely removed from the Site, or if you decide to post as private you may do so by selecting the Private Box selection. You retain all copyrights of your Designs, however upon the removal of any of your Designs, the licenses above will terminate, except that will fulfill any open orders placed prior to termination and may continue to use your Design as for marketing and promotional purposes. Upon creating a Design and Posting it for SALE, you will need provide the following: a title, description, categories about your Design so that any Member or Visitor to the Site can search and find related Products. All information provided must be accurate, non-misleading, if you submit unrelated information in connection with your Design, misleading or inaccurate or that it violates the rights of a third party, mysk8design will delete such information or your Design(s) entirely, in its sole discretion without notice and your account may be reviewed for cancellation and all its Reward Points, and/or accumulated earned cash will be deleted and not be paid nor you will have the right to claim any or related indemnification for all prior sales pending to claim. Members and or Visitors can find what they are looking for, using our search category option, so It’s very important to accurately categorize your Design. By providing accurate information, Members and or Visitors will find the design quickly and easily. By using the site and its services, you hereby agree to conduct your business in a professional and ethical way and have respect for the rights of other Members, Designers, and third parties and in accordance with applicable laws and regulations. (i) If your Design is only appropriate for mature/adult audiences, you must specify as you submit for approval. (ii) You may not use words that are derogatory and or offensive or discriminatory. (iii) You may not use malicious tags, descriptions racist and other comment that may offend ethnic groups. (iv) You may not use copyrighted material. (iii) Withhold any Earnings for Designs. (i) Inform you via e-mail of the action, behavior, tag, spam or description in question and request you take corrective action. (ii) Make your Design(s) unavailable. We will, in our sole discretion, withhold payment of your Royalties and Terminate the Account if any inappropriate conduct continues. mysk8design reserves the right to remove, limit, suspend, terminate any Member Accounts, in addition as well as to prohibit access to our sites and their content, services and tools, delay or remove Designs, discontinue our relationship with any Designers that we determine in our sole discretion that are in violation of the above terms, or are unlawful, fraudulent, threatening, defamatory, obscene or otherwise objectionable. Any Design we determine is intended to promote a service or product other than accepted, or authorized will be removed. 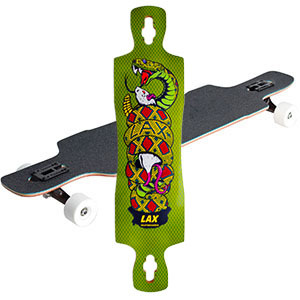 mysk8design assigns the price at which a product with your Design is sold on the mysk8design website and affiliated sites. 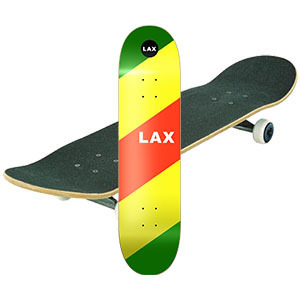 mysk8design will pay royalty for all public sales of Products incorporating your Design only. Pricing may be updated from time-to-time as new Designs become available. Any Royalties earned in your selected currency, your payment is subject to foreign currency conversion fees if applicable. All sales are subject to deductions for returns, credits, and reversals. 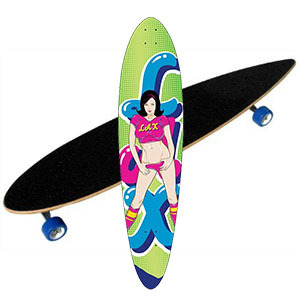 mysk8design will only pay Royalties to you on sales were your Design(s) is/are used. Any violation of our guidelines that constitutes Design violation; is subject to forfeit of any Royalties. mysk8design will keep track of your earnings, however; you may check your earnings at any time through your account. Any payments for royalties owed to you will be made within forty (40) days. You may choose your method of payment, that is Check, PayPal, or you may use your earnings towards making a purchase through our website, mysk8design may change the methods of payment available at any time. Payments made using via PayPal will be charged a $5.00 processing fee. Any returned checks to us sent to you, mysk8design will withhold any further payments until you have updated your address. mysk8design will not be held responsible as for any lost checks during its delivery to you due to any reason whatsoever, and may not replace such check until an investigation is done and come to a conclusion that was lost during and or destroyed by its carrier. You will not get pay for sales if your Design violates this Agreement, such as one of your Designs infringes someone else’s copyright or that you do not have authorization to use the Design. Now is your chance to join up with mysk8design, as partners with one of the BEST Skateboard Manufacturers the Industry now offers, it’s continued growth reaching all America’s Pro Skaters and Brands, mysk8design backs its boards 100%. By joining and participating in our Affiliate Program; you can get e Store Credit on every qualified sale, we leave it up to you on how much you want to earn. The more you sell, well; the more you earn…is that simple!! Becoming a member is very simple, log in to www.mysk8design.com/latest and create an account, start designing and every time you save a design select the box Add to Affiliate if you wish to participate. You will be able to track down how much e Store credit you have towards your next purchase in your Dashboard area. Using our powerful and easy to design tools, you can create, design and upload almost anything and offer it on our website; create a brand, create a style, there’s no limit, also you may set the price of your design is that simple. By checking this box, I've read and agree with the Designer Agreement Policy. I understand that my email address will be used to verify my account and will NOT be shared with anyone. You will have Access to our Exclusive Products. You may qualify to Test Run our New Models. You can Join our Affiliate Program and earn eStore Credit. Get Discounts, Coupons or Free Shipping Offers.